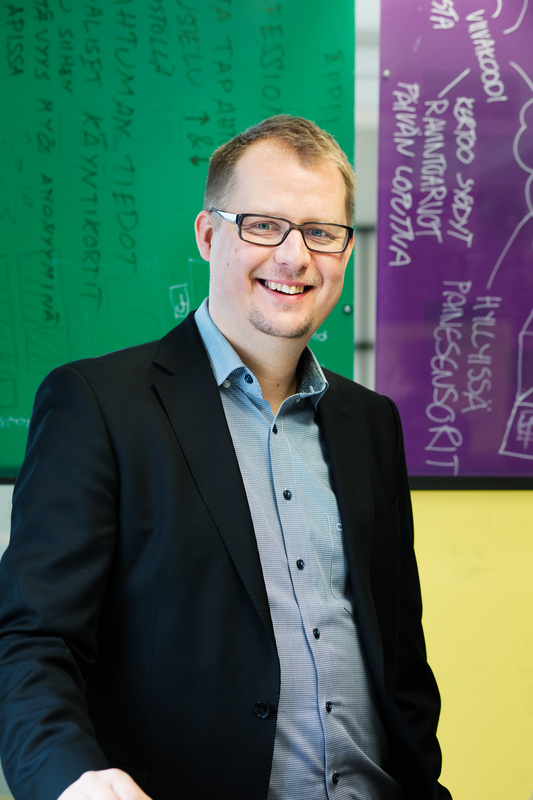 We turn our attention to Teemu Moisala who recently stepped up to lead global digital innovation consultancy, Futurice. He talks to European Business Magazine about his ambitions for growing the company and how Futurice’s culture of radical employee empowerment has helped to turbocharge its growth. Can you tell us in a nutshell what Futurice does and the markets you work across? Futurice is an international consultancy which works with multinationals and smaller organisations on their most complex human, technology and business challenges. We help companies re-engineer business models and harness emerging tech to create value in a post digital world. We do this by helping our clients unleash innovation in a variety of different ways including agile software development, people-centred work culture and lean organisational change, as well as creating digital products and services that have real impact. Our work includes building an industry-first facial recognition system for hands-free check-in trialled at Helsinki Airport together with our partners Finnair and Finavia, and working with Fortum and Boond to develop Solar2Go, a digital platform pilot aimed at helping local solar companies offer affordable energy systems to households in India. We have offices in Berlin, Munich, Stockholm, London, Tampere, Helsinki and we recently celebrated the opening of our first office in Oslo. Futurice has had a tenfold increase in turnover in the last ten years. What’s been behind this rapid growth? When I first joined Futurice in 2008, the company had just one office with around 30 staff. We’ve experienced consistent year-on-year growth since then and we now have over 500 employees in five countries. Futurice is Finnish-owned and we Finns are low-key about our achievements. One of the secrets to our growth is that we are highly experimental: we constantly evolve our business proposition. Over the past ten years we have transitioned from tech consultancy to design to c-level advisory, working with clients including Ford, E.ON, Nordea Bank and Moneycorp. Our next evolution is to become an AI/data-driven business that we can use to lead the way for our clients when it comes to embracing this new technology. A second key driver of our growth is our non-hierarchical culture of trust, transparency, freedom and responsibility. In keeping with our Finnish heritage, we encourage our people to make business decisions within clear limits, an approach known as “radical empowerment,” which is also adopted by famously agile companies like Spotify. We think this encourages greater individual accountability and a stronger entrepreneurial mindset. We also maintain a high level of transparency within the company, including weekly discussions on business performance where financial information is freely shared so that everyone has the information they need to make better day-to-day decisions. To boost collaboration and ensure knowledge is being shared, we hold weekly ‘skills conferences’ and encourage employees to “futu-hike” to offices in different countries so they get the opportunity to learn from different teams. By maximising technological innovation, empowering employees and maintaining an open culture, we believe we’ve created a formula for rapid growth and happier, more fulfilled, teams. Whether it’s developing an innovation culture or harnessing emerging tech to solve a particular problem, our clients particularly value the fact that we road-test the advice we give them, on our own business first. Futurice has an unusual way of managing leadership change – tell me a bit about it? While Futurice has a standard CEO/board/senior management structure, the core leadership shares responsibility and has the flexibility to fulfil different roles as needed. For example, Tuomas Syrjänen our former CEO and co-founder now spearheads our AI initiatives, however before becoming CEO, Tuomas held roles including heading up IT and sales. Similarly, before becoming CEO, I managed our Finland office. Other senior members of the team regularly rotate between internal and customer-facing roles. We think this shared approach to leadership helps to keep energy levels high and avoid stagnation. It also allows the business to deploy a culture of continuous learning, with people pushed to step out of their comfort zones and constantly grow and expand their knowledge and skills. What role has your former CEO Tuomas Syrjänen now taken on and what will his priorities be? We believe that AI is the next wave of transformation to sweep across our workplaces and our lives. From talking to a wide range of businesses, it’s clear there is a lot of uncertainty about how to get started and how to integrate the technology into a company’s ethics, policies and culture. Many companies don’t think they’re ready for, or capable of adopting AI – some think of machine learning (ML) and AI as a technology they just buy. Tuomas’s new role is heading up our AI offer, which aims to enable clients to exploit the full potential of AI. This includes Futurice Exponential, an initiative within Futurice designed to help organisations – including our own – transform and improve how knowledge work is done. As the new CEO, what are your long-term plans for Futurice?